Black Basaltes ware with moulded relief. Circular medallion of black Basalt ware surrounded by a moulded gilt frame. 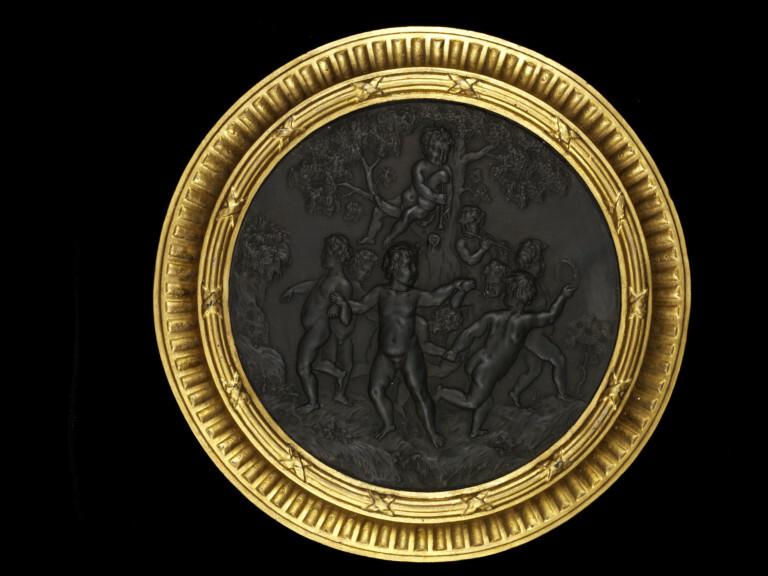 The scene in relief depicts seven cherubic boys, one of whom holds a tambourine, dancing around in a circle, in front of a tree. Another boy leans against the tree trunk playing a flute, whilst the ninth boy sits on a branch above them all playing the bagpipes. 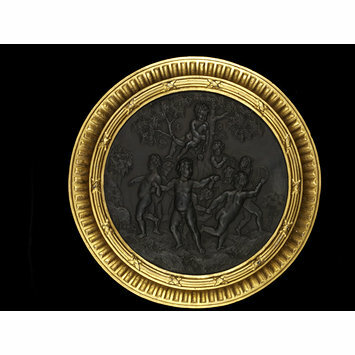 Medallion of black basalt with relied decoration and a gilt frame, Wedgwood factory, Staffordshire, ca. 1780-1800.